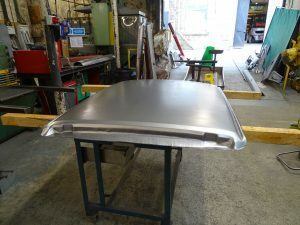 Home » Latest News » Fresh from the press! 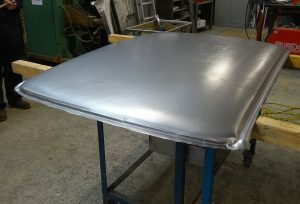 We are very excited about one of the current products in manufacture; The roof skins for the Sunbeam/ Sunbeam Lotus are currently in production and we hope to have the first 10 ready to satisfy current orders in late July 2016. 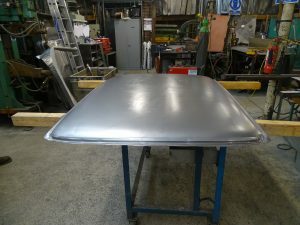 These are photographs of the first roof skin part way through production.